Well, things have been humming along nicely the past two weeks. Michale and I had a fun Guitar Hero session a while back with another friend. I bought two original Guitar Hero guitars and six (6!) discs worth of games, so now we're stocked up and ready to rock. The next day was Boulder Pride Festival so we went and checked that out a bit. Last week AJ was kind enough to give me and my friend Stephanie a little clinic on setting and cleaning sport climbing anchors. So now I've got the minimum gear and knowledge needed to go out and do sport climbing independently without needing someone more experienced. So that's a nice milestone. 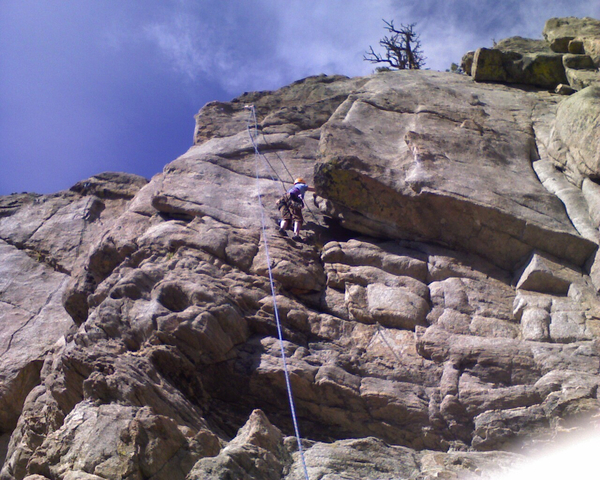 Last Saturday we went out and climbed at The Sport Park in Boulder Canyon and tried out our stuff. I did my first outdoor sport lead, set the anchor, cleaned anchors, and rappelled down. It's fun! Hung out at AJ's again on Friday night and he gave me and my friend Dorota rides on his motorcycle (sequentially, not simultaneously :-0 ). Then we watched Good Morning Vietnam. It's so good. I forgot how long it is though. Sunday I spent the day celebrating my birthday with Bill and Leslie. 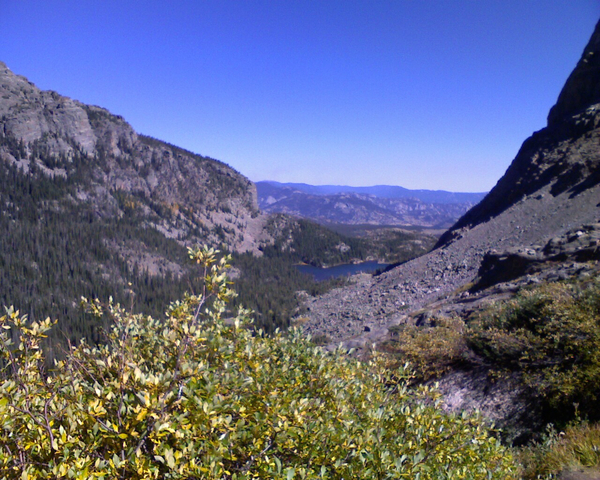 We had pancakes and eggs for breakfast then drove up to Rocky Mountain National Park and did a nice long hike up past Loch Vale to Sky Pond. After the hike Michale and Elise joined us for dinner at Bill's house featuring birthday cake Michale baked for me. It was a really fun day and nice to spend so long outdoors. 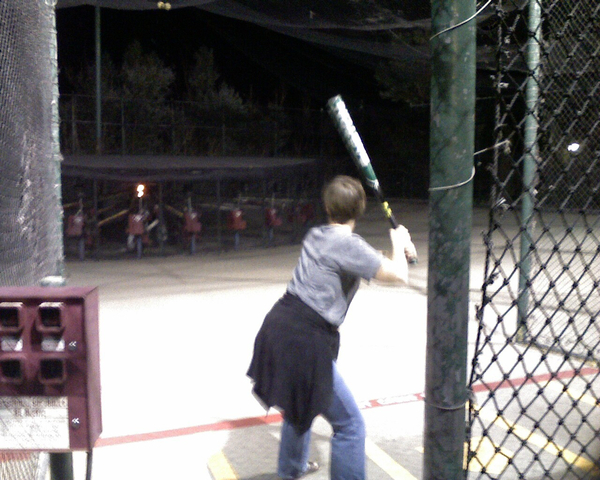 Monday was my actual birthday so Michale and I went to the arcade and batting cages and had a grand old time. Tuesday was a double header tech meetup night for me. I went to New Tech Denver, but had to head right back after the first presenter to go to This Week in Startups (TWiST) Boulder. TWiST is a cool little event where a bunch of cities around the globe (Tokyo, Sydney, Boulder, Dallas, etc) have a local event where a few startups pitch the crowd. Then the crowd in each city votes for the local winner. The winner in each city then gets on the live skype video stream and pitches to Jason Calacanis. The hosts were impressed with Boulder for consistently "crushing it" when it comes to startups. Next Saturday we're off to Aspen for a CHAOS hut trip. It will be our first hut trip, so we're gearing up. The idea is to catch all the Aspen trees in full autumn glory and so far all signs indicate we'll hit that goal. Should be an adventure!